Join Us at SIETAR Europa in Valencia! Have you registered for the SIETAR Europa conference in Valencia, Spain May 21-23? The conference is the leading gathering of interculturalists in Europe, and is attended by many professionals from around the world. It is known for the quality of presentations and the intellectual exchange. Since our founding, the Cultural Detective Team has been committed to transparency, professional development, and vetting by our peers, and this congress will be no exception. Cultural Detective will have a huge presence at the congress, and we sincerely hope to see you there! Firstly, Tatyana Fertelmeyster will conduct a Cultural Detective Facilitator Certification on May 18th and 19th. So many of you who live in Europe ask us for European-based certifications, so here is your chance! This is the only one scheduled in Europe this year. Attendance is limited, so please register early. Also on May 19th, Pari Namazie and I will have the pleasure of conducting a pre-conference workshop, heavily based on Cultural Detective tools, entitled Blended Culture Identity, Global Ethics and their Value for Leadership and Teaming. I am very excited about where this workshop will take us. Ethics and authenticity are of crucial importance to cross-cultural leadership and teaming, and are too often overlooked. A third CD-based session will be held on Saturday, the 23rd May at 10:00: Firearms in US Society: a Case Study about the Role of Interculturalists in Polarized and Politicized National Conversations, by Jeffrey Cookson and myself. You’ll find pre-conference and concurrent sessions by Cultural Detective authors Marie-Therese Claes, Patricia Coleman, Heather Robinson, Catherine Roignan, George Simons, Jolanda Tromp, Rita Wuebbeler, Tatyana and myself, plus sessions by CD translators, certified facilitators and partners. We look forward to meeting you or reconnecting with you in Valencia! Learn more about the city of Valencia. Take Cultural Detective author George Simons’ diversophy® quiz on Valencia. The March-May 2015 issue of the SIETAR Europa Journal is out today, and I thought some of you might want to take a look. Pari Namazie conducted a lengthy interview with me when I was last in Vienna, and it is published in the journal on pages 3-9. I find it flattering, embarrassing, encouraging and mortifying, all at the same time. It is humbling to have the honor to be profiled in this way. Thank you, Pari and Patrick Schmidt, editor. Perhaps it will give you insight into some of the experience that has contributed to Cultural Detective. Also very important in this issue is news of the upcoming SE Congress in Valencia, Spain, 21-23 May. Please plan to attend! There are a wealth of terrific pre-conference workshops, including two focused on Cultural Detective, as well as incredible concurrent sessions, all in the gorgeous setting of Valencia. The full schedule is not yet posted, but you can register for the Congress now and then register later for any pre-conference workshops you want to attend. I hope to see you there! Finally, I’m very excited that my old friend Joseph Shaules has published his much-anticipated book, The Intercultural Mind, and George Simons has written an insightful review of it on page 16. You can find the issue of the Journal here. For those of you who are passionate about intercultural but, like me, were not able to get to Tallinn, Estonia for the SIETAR (Society for Intercultural Education, Training and Research) Europa Congress, here is Vanessa’s first day wrap up. Enjoy! Wednesday was “Pre-Congress How-To Workshop Day”. We are wrapping up, and what were the biggest take-aways? Sabrina and I were first to present this morning. We framed Social Media Marketing through an intercultural lens. Have you ever been a tourist? Have you ever been a traveler? What’s the difference? Tourists might just casually visit a country, without a strong connection or engagement with the local community, perhaps get easily distracted to shiny objects and come home with a suitcase packed full of purchases they didn’t anticipate. What about a traveler? Perhaps they spend more time planning and preparing for the visit to the new land. Relationship building, engaging with local community, and being a conscious participant is the approach of a traveler. 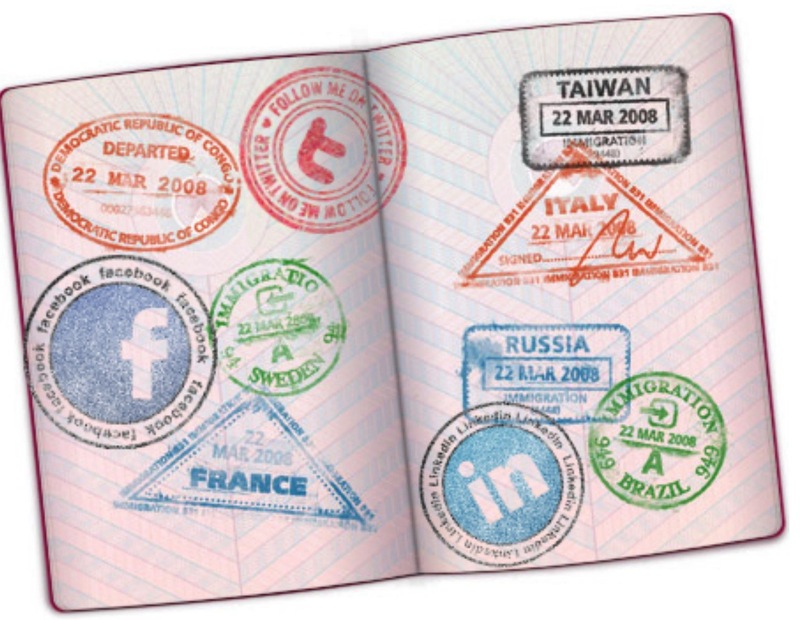 Apply this to Social Media and get your passport ready for your journey.